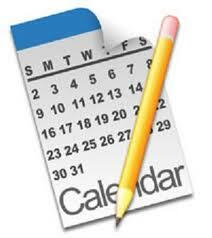 MCBA MEMBERS: Please reserve with Salem City Club by noon, Jan. 9, if you plan to have lunch. Be sure to have your recruit indicate that you referred them - there are "I Got Mine" buttons in store for those who recruit new members. 11:30 AM with program commencement at noon. Lunch reservations required – rsvp@salemcityclub.com before noon Wednesday. Salem City Club is once again honored to host the 2013 State of the Oregon Courts Address, by newly elected Chief Justice Thomas A. Balmer. Join us Friday, January 11 at noon for this annual event co-hosted by the Marion County Bar Association and generously sponsored by The Law Office of Ryan W. Collier. Thomas A. Balmer was elected by his colleagues as Oregon’s 43rd Chief Justice and began service on May 1, 2012. He was first appointed to the Supreme Court by Governor John Kitzhaber in 2001; he was elected in 2002 and re-elected in 2008. Chief Justice Balmer practiced with the Portland law firm of Ater Wynne LLP and its predecessor firm, Lindsay, Hart, Neil & Weigler from 1982-93 and 1997-2001, and also served as Managing Partner. 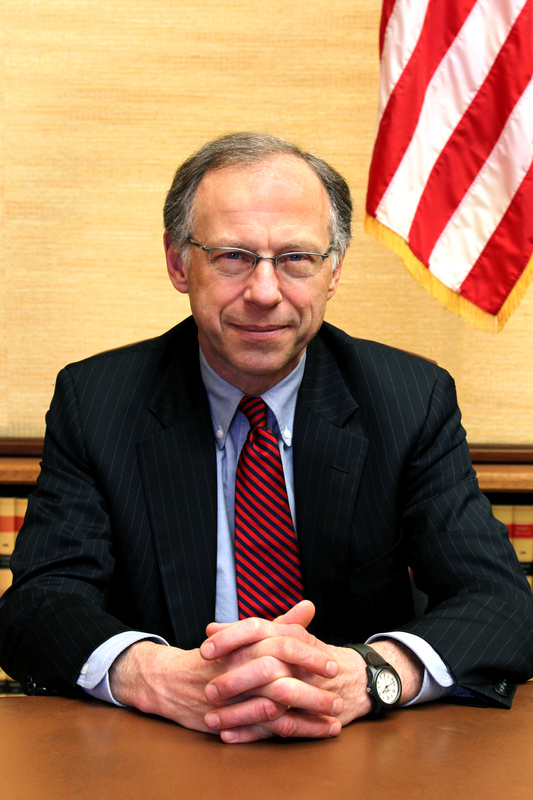 He was Deputy Attorney General of Oregon (1993-97) under Attorney General Theodore R. Kulongoski. Earlier in his career, he was an associate with Wald, Harkrader & Ross (Washington, D.C.) (19880-82), a Trial Attorney with the Antitrust Division of the U.S. Department of Justice (1979-80), and an associate with the Boston firm of Choate, Hall & Stewart (1977-79). Chief Justice Balmer received his J.D. from the University of Chicago Law School in 1977 and his A.B. from Oberlin College in 1974. He has been as an Adjunct Professor of Law at Northwestern School of Law of Lewis & Clark College and an Adjunct Professor of Political Science at Lewis & Clark College. He is the author of numerous articles, book reviews, book chapters and op-ed columns on antitrust, constitutional law and other topics. Chief Justice Balmer’s law-related activities include serving as Chair (1992-93) and Board Member (1989-93) of Multnomah County Legal Aid Service, Inc.; Chair (2007-09) and Board Member (1999 to present) of Classroom Law Project; and Board Member (2004-11) of the Oregon Law Institute. He currently serves on the Visiting Committee of the University of Chicago Law School and on the Advisory Committee of the Campaign for Equal Justice. Chief Justice Balmer has participated in various international legal programs, including lecturing on judicial ethics in Tashkent, Uzbekistan (under the auspices of the United Nations); working with judges and schools on law-related education in Zagreb, Croatia, and speaking to judges and court administrators through the Russian-American Rule of Law Consortium. In the wider community, Chief Justice Balmer has been a volunteer the Goose Hollow Family Shelter since 1994 and has served as a founding Board Member (2000-01) of the Portland Parks Foundation and as a Board Member of Chamber Music Northwest (1997-2003). He has coached youth soccer and lacrosse teams, served on several committees of the Portland City Club, and been a member of budget advisory committees for Metro and the City of Portland. Chief Justice Balmer was raised in Portland and attended Portland Public Schools. He is married to Mary Louise McClintock, Director of Early Childhood Programs for the Oregon Community Foundation. They have two adult children. This year’s event is once again sponsored by Ryan W. Collier, PC. Mr. Collier has sponsored this program for several years and his support is appreciated. Please join us Friday, January 11, 2013, as we welcome Thomas A. Balmer, Chief Justice of the Oregon Supreme Court, at the Willamette Heritage Center at the Mill in the Spinning Room. For lunch reservations email rsvp@salemcityclub.com by noon Wednesday, January 9, 2013. Parking is free. Doors open at 11:30 AM. For more information on this program please go to www.salemcityclub.com. Friday, January 25: Public Transportation in the Salem Area: Myths and Facts. Friday, February 8: A Third River Crossing for Salem? Do you have an idea for a program? Contact any Program Committee member with your suggestion, email your suggestion to jessica@salemcityclub.com or attend a Program Committee meeting.